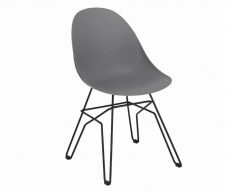 Our affordable Restaurant Furniture range includes dining chairs, arm chairs, table bases and table tops in a variety of finishes. Most of which are held in stock for extra short lead times. Many of our products have colour options so you can tailor your choice to match your company decor or branding. All of our Contract Furniture is manufactured to contract standard and is covered by a 12 month manufacturers guarantee. Whether you're just looking for a few tables and chairs to add to your existing Cafe Furniture, or starting from scratch with a full cafe fit out then Warner Contract Furniture could be your one stop shop. 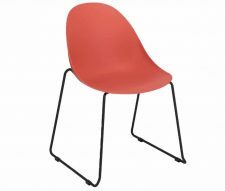 We offer wide variety of wooden, metal and plastic furniture available in a variety of colours. 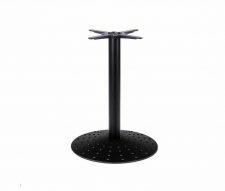 Tables, chairs, tubs and bar stools are all included in the range, some of which are suitable for outdoor use. We like to keep the majority our commercial furniture in stock, which allows us to offer the shortest lead time in the industry. Warner Contract Furniture specialise in outdoor furniture with many all weather designs to choose from your sure to find something perfect for your business. For your convenience we have included some tables and chairs that have innovative stacking / folding mechanisms, allowing you to easily and safely store your Outdoor Furniture away when its not in use. Whether you're looking to furnish your beer garden, outside terrace or smoking area you're sure to find what you are looking for here. Most of our range is in stock ready for quick delivery, please speak to sales if you need your furniture in a hurry and they will be happy to accommodate your request. Warner Contract Furniture stock a range of essential pub furniture so if you need quality furnishings for your pub but don't have time to wait then this range is for you. 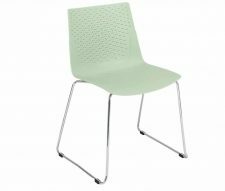 These heavy duty tables, chairs, bar stools and sofas can stand up to severe contract use without fail. Covered by a 12 month manufacturers guarantee for extra piece of mind. Delivery times can be as short as 24 hours (standard economy delivery 3 - 5 days) please speak to sales for more details. Buy pub furniture online today. We only supply Contract Furniture that has been tried and tested in the harshest commercial environments. All goods are quality checked before they are carefully packed and delivered to your business. We pride ourselves on offering the best customer service possible. Our dedicated team of commercial furniture professionals can assist you at any stage of the process. Please do not hesitate to Contact Us should you need to. Warner are committed to providing our customers with the very best prices possible whilst maintaining high quality standards. We are always happy to better like for like quotes for Contract Furniture, please speak to sales. If you need Commercial Furniture in a hurry, don’t panic. Our delivery times can be as short as 24 hours (surcharge). Standard delivery time is 2 – 5 working days. If you are in a rush please speak to sales before ordering. Warner Contract Furniture was founded to provide the UK leisure and hospitality industry with exactly what it needs; quality commercial furniture, competitive prices and short delivery times. Based in Manchester we service the whole of the UK, providing a first class service from order to delivery. 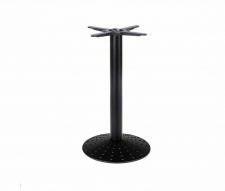 We supply restaurants, cafes, pubs, bars, hotels and many more business types. Our diverse and extensive product range includes indoor and outdoor furniture, stacking and folding chairs and tables, modern furniture, traditional furniture and everything in between. All of our Contract Furniture is thoroughly tested for strength and durability so that our high quality standards are maintained. Many products have FIRA / SATRA durability certification for extra piece of mind and all of our upholstered items carry a CRIB5 fire certificate which is a legal requirement in the UK. Whether you’re wanting to add a few pieces to your existing furniture or you’re looking for a complete commercial refurbishment then you will find what you need on our user friendly website. We work with Restaurants, Bars, Cafes, Pubs, shops, in addition to contract interior designers, shop fitters and architects. 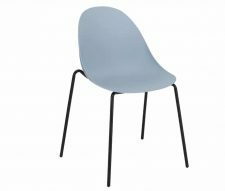 Our constantly developing range of furniture includes: Dining Chairs, Armchairs, Tables, Sofas and Tubs, in addition to many other items. Our broad and diverse range of Contract Furniture has been cleverly designed and carefully selected by top industry professionals. With decades of combined experience and industry knowledge our sales team are happy to assist you wherever they can whilst furnishing your commercial venue. Warner Contracts Ltd. are an industry leading specialist in Commercial Outdoor Furniture. Many of our products have been specifically designed to be used outdoors in all weather conditions. If you are looking to source furniture for your beer garden, terrace or outdoor catering area then we would love to hear from you. Our knowledgeable staff are always happy to pass on their experience and suggest the best styles that match your requirements. Warner Contracts only use the highest quality raw materials to manufacture our outdoor commercial furniture, included in our range you will find quality rattan weave in various colours, aluminium, heavy duty stainless steel and cast iron. Many of our outdoor chairs have matching bar stools to compliment them and our outdoor table bases and tops can be mixed and matched allowing you to create a nice looking outdoor area that your customers will love.